It doesn’t matter whether it’s a ransom note made of cut-out magazine letters or a simple pair of smartphone smiley faces—threatening someone with violence is totally illegal. Noisey writer Fletcher Babb found out the deadly power of emoji when a would-be drug dealer posted a dead face next to a gun in an Instagram blackmail. Babb had heard that it was possible to buy “lean,” a particular kind of cough syrup that comes laced with codeine, now a popular narcotic beverage among rappers, on Instagram (a pint of the liquid can go for as much as $1,000). To test out the nascent black market, the writer posed as a willing lean buyer and began negotiating with a rapper in Atlanta who promised to sell him some. 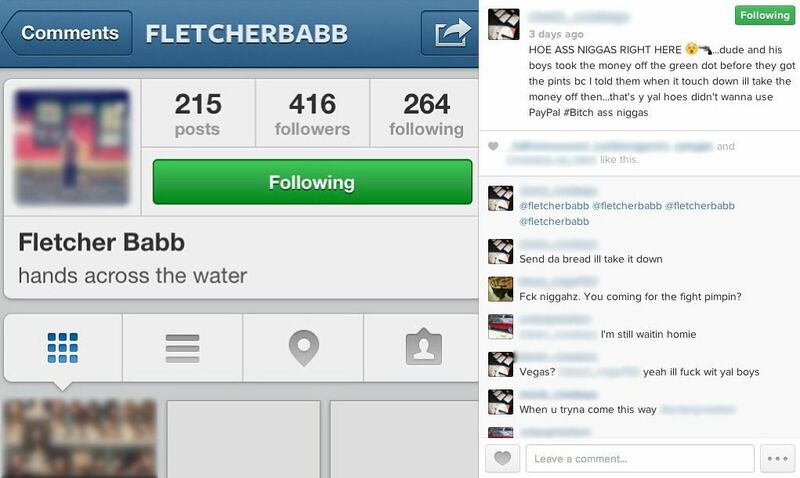 When Babb pulled out of the deal, the rapper posted a photo of the writer’s unprotected Instagram account, complete with location-tagged photos, along with a threat that if he didn’t deliver the cash through the online payment processor Green Dot, the photo of the account would stay up, plus the suggestion of the emoji murder tableau. Mashable interviewed experts to find out if the implied violence of the emoji counted as a true illegal threat. “When law enforcement investigates, they have to determine whether a person would have been reasonably threatened,” said Justin Patchin, the co-director of the Cyberbullying Research Center. As for the emoji, “I think a reasonable person would be threatened by that,” he said. “If someone makes a death threat, online or offline, there’s no difference in the way it’s treated,” says Bradley Shear, a lawyer specializing in social media and Internet law. “Whatever laws exist in the real world are usually applied to a threat in the digital world.” What it comes down to is, can the emoji be interpreted clearly as a promise of violence? Babb’s case is pretty obvious, but just be careful going forward when incorporating emoji into your sexting.